If you have a moderate to severe case of dandruff caused by Seborrheic Dermatitis, purchasing the Ketozolin 2% shampoo is potentially a wise decision. It has the maximum EU allowed dose of anti-fungal ketoconazole – effective against the overgrowth of Malassezia yeast seen in cases of seb derm and dandruff. It can be used to clear dandruff within a week and it can be used to prevent dandruff recurrence when used once weekly. However, it does contain one or two harsh ingredients, including SLS and a formaldehyde releaser. So use with caution if you have a sensitive scalp. 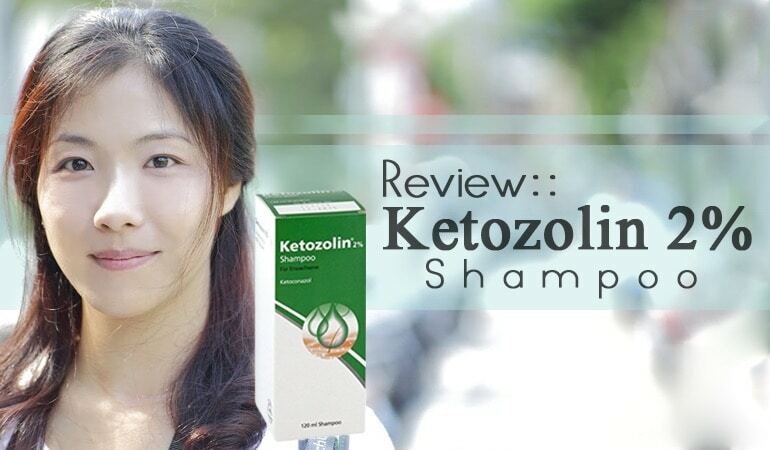 Ketozolin 2% shampoo is a straightforward shampoo to treat seborrheic dermatitis. This pharmaceutical looking generic is a 2% ketoconazole anti-fungal treatment shampoo. 2% ketoconazole is the maximum strength you’ll find in a shampoo. Although widely available on e.g. eBay, 2% ketoconazole officially requires a prescription in the US while it’s available over the counter in Europe. Regular readers of this site will know that 2% ketoconazole, along with 2.5% selenium sulfide, is my favorite active ingredient for combatting seb derm. You’re talking prescription strength performance available in many different formulations. While you won’t find Ketozolin 2% shampoo at your local drugstore, you can buy it online without a prescription. This is when the trust factor kicks in. Who makes Ketozolin 2% shampoo? And can they be trusted to treat your dandruff effected scalp? The man behind the curtain in the case of Ketozolin 2% shampoo is a generic pharmaceutical manufacturer called Dermapharm AG. They are German. They began life in 1991 and they are a family run company. Dermapharm AG’s mission is to make available high-quality dermatological and allergic medicinal products. They make preparations to help with nail fungus, hereditary hair loss and you guessed it… dandruff. They take what large pharmaceutical companies have discovered (i.e. that ketoconazole is an excellent active against Malassezia yeast) and they make their own cheaper version once the active ingredient is off-patent. Dermapharm AG are not experts in anti-dandruff treatment, however, they are using well-established research from much larger pharmaceutical companies to make formulas which work. Buying the Ketozolin 2% shampoo is exactly the same as buying supermarket brand paracetamol. Now we know, like and trust the company behind Ketozolin 2% shampoo, it’s time to assess its in-person look, feel and performance. After ordering your bottle of Ketozolin 2% shampoo you’ll be greeted with a small package containing a 60ml disc top cap bottle in a medicinal looking green-white carton. The box, shampoo bottle and inside leaflet are all written in German. However helpfully you can find the English translation of the inside leaflet here. It looks the part but what does it wash like? The Ketozolin 2% shampoo is easily dosed from the petite plain white bottle. The shampoo itself is colored red – a nod to the popularity of the well-established Nizoral shampoo. There’s a slight medicinal scent but being so light it’s hard to pin-point the flavor. It lathers well, spreads well and washes out well. The anti-dandruff shampoo’s in-use performance is a definite and instant yes to removing your scalps excess oil. Making it a great option for classic cases of oily seborrheic dermatitis. If you have long, curly or dry hair, a follow-up conditioner is an absolute necessity. With an effective in wash performance, what can you expect from the active and accompanying anti-dandruff shampoo ingredients? 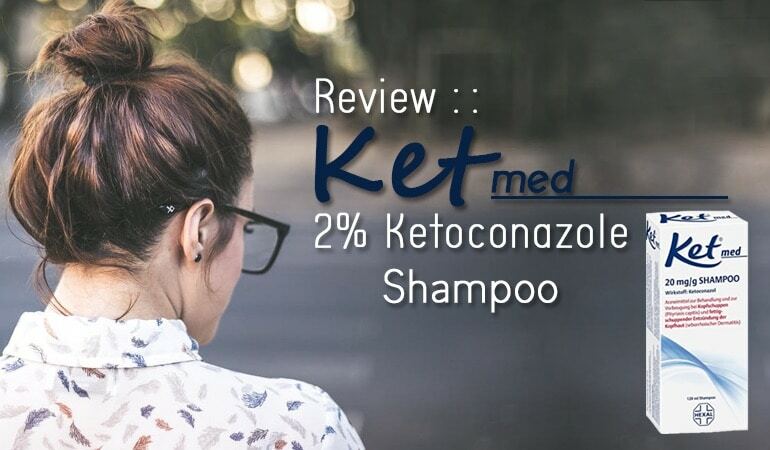 The Ketozolin 2% shampoo is a great option for persistent, returning and maddening cases of dandruff and seb derm. Its effectiveness is thanks to its maximum allowed off prescription dose of a very effective anti-fungal – ketoconazole. Ketoconazole is an anti-fungal active able to quell several strains of disease-causing fungi. First discovered in 1976, ketoconazole is as effective today as it was then. It can be used to treat athlete’s foot, ringworm and the reason you’re here – dandruff. Effective against seborrhoeic dermatitis and dandruff in just 1 month of treatment at a 2% dose. That ketoconazole is most effective at a 2% concentration vs 1% concentration for preventing relapses of severe dandruff and scalp seborrheic dermatitis. Is effective in the treatment of moderate to severe dandruff at 2% ketoconazole doses and is better tolerated than other anti-dandruff shampoos which show the same result e.g. 2.5% selenium sulfide. At 2% concentration of ketoconazole, when used once weekly is effective in preventing the recurrence of seb derm and dandruff. The studies seem conclusive – 2% ketoconazole treatments work to clear moderate to severe cases of dandruff and seb derm quickly. Once your scalp is clear, they’re then very effective in helping you prevent a relapse when used once weekly. Looks like our Ketozolin 2% shampoo has exactly the right dose for the job. But what about the accompanying ingredients? How do they match up? Are they well designed for scalps suffering from moderate to severe seb derm and dandruff? Sodium Lauryl Sulfate (SLS) is a common find in normal and anti-dandruff shampoos. It’s a cheap cleansing ingredient that lathers extremely well. It can also cause contact dermatitis and is used in dermatological tests as a skin stressing irritant. If you have a sensitive or reactive scalp the Ketozolin 2% shampoo may not be for you. Second on our pin-point list is Imidazolidinyl Urea. A preservative used to keep this formula free from nasty bacteria growth. Imidazolidinyl urea works by releasing formaldehyde and may therefore not be the perfect option for sensitive and allergic scalps – as studies show if this describes your scalp type, it’s likely you may have or easily develop an allergy to these types of ingredients. There are one or two other ingredients worth looking at such as Sodium Hydroxide, Hydrochloric Acid and Glyceryl Cocoate. When it comes to analysis of the Ketozolin 2% shampoo formula this really is it. It has a simple and well researched active ingredient. 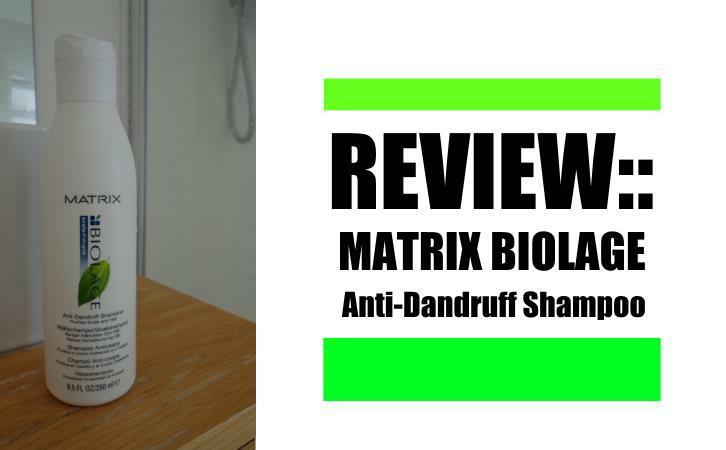 It will very likely be effective against cases of moderate to severe dandruff but is not for sensitive, allergic scalps. Unfortunately I have the same issue with 2% ketoconazole and 2.5% selenium sulfide. And unfortunately, these are the two active ingredients that are virtually guaranteed to clear my dandruff with one wash.
That said, I wash my hair as little as possible these days. Certainly using a medicated shampoo. But other than that I have no idea.